The members of the Texas Police Chiefs Association collectively adhere to the principle that a standard of professional conduct for its membership is desirable and that, through vigilant enforcement of these standards, the professionalism and performance of police executives statewide will be enhanced. 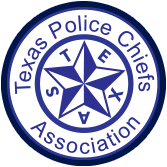 The membership of the Texas Police Chiefs Association (hereafter TPCA) is dedicated to the principles of effective and democratic local government through the appointment of police executives by city management and elected governing bodies. Members will maintain a constructive and practical approach to their duties within the parameters of the policies set by the local governing body and appropriate statutes and ordinances. II. TPCA members shall be dedicated to the highest ideals of honor and integrity to maintain the respect and confidence of their municipal officials, subordinates, the public and their fellow chiefs. Members should conduct themselves so as to maintain public confidence in their profession, their department, and in their performance of the public trust. Members should conduct their official and personal affairs in such a manner so as to give the clear impression they cannot be improperly influenced in the performance of their official duties. III. TPCA members shall adhere to the highest standards in application and maintenance of employment. At all times, members shall completely and accurately represent their credentials, including prior employment, education, certifications and personal history. Members seeking a chief’s position should demonstrate professional respect for incumbents and those seeking the same position. Professional respect does not preclude honest differences of opinion. It does preclude attacking a person’s motives and integrity in order to be appointed to a position. Members should not seek employment in a community having an incumbent chief who has not resigned, retired, or been officially notified of termination. Members who officially accept an appointment as chief of police should not fail to report to that position. This does not preclude the possibility of a member considering several offers or seeking several positions at the same time; but, once a bonafide offer has been accepted, that commitment should be honored. Members should commit to at least two years of service in any position barring any unforeseen actions by the governing body or severe personal problems. This minimum period permits implementation of programs and opportunity for their effectiveness to be realized. IV. The members of TPCA represent that the primary function of the police executive is to serve the best interests of the community and the law enforcement profession. The members of the TPCA are committed to fair and impartial enforcement of laws and ordinances. The members of TPCA are dedicated to innovative and participative management, at all times seeking to improve their departments, increase productivity and remain responsive to the needs of their community. Members of TPCA shall continually strive to improve their personal knowledge and abilities and that of their fellow chiefs through independent study, courses, meetings and seminars. This responsibility extends to the members of their department. The members of TPCA believe that all supervision and management should be fair and equitable for all levels of employees and that all statutes and personnel regulations should be honored. All actions relating to selection, retention, promotion, and transfers should be based on ability and equal opportunity. All policies and procedures regulating conduct of officers should be in writing and available to all personnel. This includes disciplinary, grievance, policies and operating procedures of the Department. Members of TPCA shall encourage friendly and courteous service and strive to improve communications with all members of the community, at all times seeking improvement in the quality and image of public service. Members of TPCA recognize that they should refrain from all partisan political activities which would impair their ability to serve all segments of their community. This standard is not to be construed to prevent any member from voting or expressing his/her personal opinion where appropriate. The members of TPCA recognize that their position requires them to provide leadership by example, to include adherence to all city and department written directives, as applicable. The members of TPCA represent that their function is to administer their agencies within the framework of the policies articulated by their local governing body and State law. All actions directed toward change in those policies, including lobbying, shall be conducted in an open and constructive manner, with the knowledge of their employers. V. The members of the TPCA believe that professional standards include the regulation of personal and financial conduct. Members shall not seek favor or personal gain through misuse of confidential information or their public time or facilities. Members shall not directly or indirectly solicit any gift, or accept or receive any gift whether in the form of money, services, loan, travel, entertainment, hospitality, promise, or in any other form, under circumstances in which it could reasonably be inferred the gift was intended to influence them, in the performance of their duties or was intended as a reward for any official action on their part. Members shall not invest or hold any investment, directly or indirectly in any business, commercial or other private transaction which creates a conflict with their official duties. Members shall not disclose to others or use to further the personal interest of themselves or others, confidential information acquired by them in the course of their official duties. Members shall not engage in, solicit, negotiate for, or promise to accept private employment or render services for private interests or conduct a private business when such employment, service, or business creates a conflict with or impairs the proper discharge of their official duties. Members shall not endorse commercial products, while acting in their official capacity, by agreeing to the use of their picture, endorsement or quotation in paid advertisements, whether for compensation or not. Members further should not permit any endorsement of commercial products by employees of their department acting in their official capacity, whether for compensation or not. The President of the TPCA will annually appoint an Ethics Committee Chair to investigate alleged violations of the code and make recommendations to the President and Executive Board for action consistent with the by-laws and constitution of TPCA as provided under Article III, Section 10. The Chair may request assistance from other active members as needed. Members should report any alleged violation of the Code of Ethics to the President. The intent of the adoption of the Code of Ethics and this enforcement proposal is to assist the organization in maintaining the professional standing of the association and its members.